Below are images of Libby when age 63 Yes they are real- and no interference! Prague Luxury Cosmetic Surgery Vacations. Ready to undergo a facelift? When our guests arrive at the world-famous hotel Pupp on Karlovy Vary They’re met with total discretion and a private hide-away. “Pupp” boasts three centuries of proud history, distinguished guests and world class service makes in unique even on a global scale. About your Prague Luxury Cosmetic surgery break. An estimated 14 million people every year travel to another country to undergo a cosmetic surgery or plastic surgery intervention.These days it very commonplace for people to combine they cosmetic surgery with a vacation. Why go abroad. Privacy and away from prying eyes. Healing without having to divert awkward questions. But also, many people who head abroad also are actually hiding from their GP who they know would probably disapprove and chastise them. Of course, it’s not for everyone as there are many people who simply can’t allow themselves to fully trust a foreign doctor. 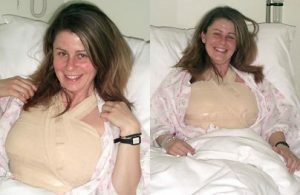 Prague Luxury Cosmetic Surgery-Bandages are off. who reassuringly, boast an unrivaled safety record of- not one single complication. Prague is today synonymous with high quality cosmetic surgery. In part attributable to Europa International who actually in the first place -pioneered the concept. Moreover so confident are we about our clinic excellence our owner ‘Libby’ had her own cosmetic surgery procedures there too. Recently we took the decision to shake things up somewhat and reinvent the traditional concept, of cosmetic surgery breaks abroad. Instead of being an emotionally tedious and physically challenging experiences, we want to make it one to one that is actually verging on enjoyable and hopefully a bit more relaxing, before undergoing your cosmetic surgery procedure. The level of service here is 100% five star +designed for the more discerning clientele. Definition of a Spa town. Now we know the term ‘spa’ is often glibly used in the UK to create a false impression of therapeutic benefits. In many cases its no more than a beauty salon, or a slimming health club. Conversely in Europe any locations which uses the word “Spa” has to be located in a place where genuine therapeutic waters exists. In the case of Karlovy Vary We wouldn’t be exaggerating to describe it as the ultimate spa town. Offering therapeutic waters from thermal springs and mud baths to promote self healing. The exotic place is known to have cured several diseases afflicting people and is a sanctuary for well-being. 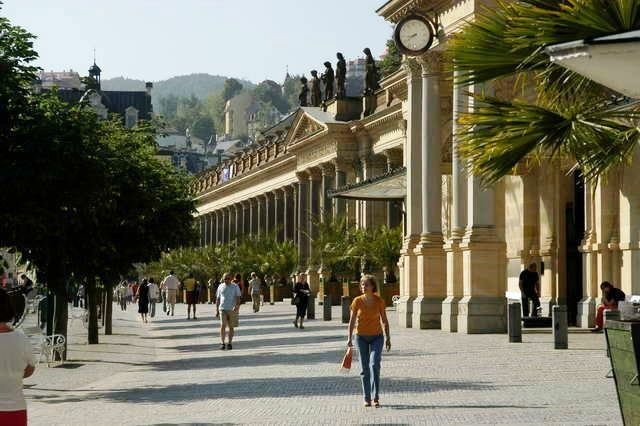 We have chose Karlovy Vary as we want only the very best for our clients, and this place IS- the best! Instead of just doing what we did so well in the past-e.g. making sure everything runs smoothly, we decided to upgrade by combing the experience with an invigorating luxury holiday too. There are now two part phases to your cosmetic surgery journey to Prague. 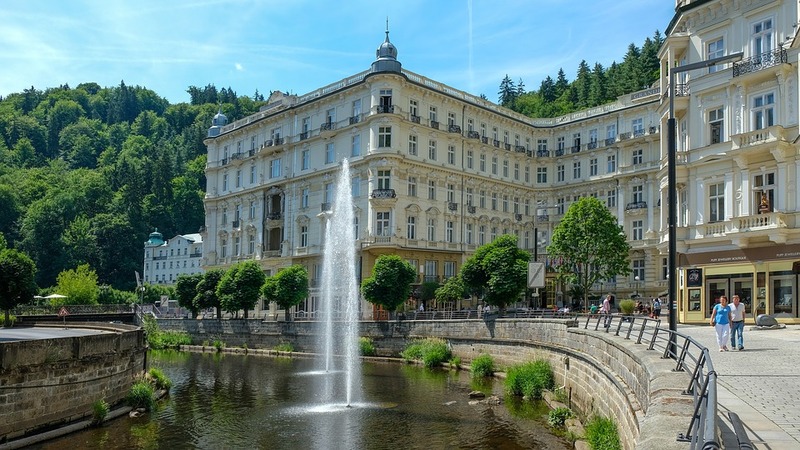 First and “pre-operation” we take you to the world famous historic Czech Health spa town of Karlovy Vary. You may well be thinking who not visit the spa to recuperate AFTER you surgery?….. and not before! in the beautiful landscape location where you can relax in the serenity of your personal apartment. Recover to your optimum and avoid the risk of any wear and tear to your body that you would otherwise suffer from in your are in your home country namely UK. Leave those domestic worries aside and spend quality time with yourself, giving your body the much deserved rest. Patients and cosmetic surgeons most often neglect the fact that they may require a local surgeons attention in case of any complexities post surgery, which is why we make sure your apartment in Prague is near in proximity to 3 of our local plastic surgeons at the clinic, who will be at your service literally whenever you need them so you can enjoy your break without any added worries. Want to keep your surgery a secret? We respect your privacy and understand concerns and pressure regarding society and family hence making the city of Prague a perfect escape, where you can wander around the stunning city like a carefree visitor until you fully recover and are ready to flaunt your new self to friends & family. We have broken the trip into two parts. 1) Pre operation break. 2) Surgery and after care. Day 1. Arrive at Prague airport. Your luxury Limousine awaits to whisk you off to a 5 star hotel in central Prague. Day 2. Prague. Simply relax and explore the city. Day 3. We depart from Prague by limousine again to the historic spa town of Karlovy Vary. Steeped in history and proven popular among numerous famous visitors such as: Kings, Queens, Actors, scholars, academics, numerous heads of government. Listed here are a few of the many distinguished visitors- aka: Ludwig van Beethoven, Frederic Chopin, Mozart, Emperor of Austria, Robert de Niro, Jude Law, Antonio Banderas, Renee Zellweger, Kirk Douglas, and YES…Adolf Hitler! Conversely in Europe any locations which uses the word “Spa” has to be located in a place where genuine therapeutic waters exists. In the case of Karlovy Vary We wouldn’t be exaggerating to describe it as the ultimate spa town. Offering therapeutic waters from thermal springs, and mud baths to promote self healing. The exotic place is known to have cured several diseases afflicting people and is a sanctuary for well-being. We have chose Karlovy Vary as we want only the very best for our clients, and this place IS- the best! You need to be in close proximity to the Prague clinic for follow-ups, or in case of any sudden concerns you might have. In many cases you have a drip attached for 2-3 days. Apart from very minor surgery procedures you have to remain still and motionless as much as possible. No exercise or vigorous movement. This includes activity such as swimming, professional massages, running, or even extensive walking. In the case of a tummy tuck (abdominoplasty)you are encouraged to remain lying flat and still as much as possible otherwise there can be serious damage done. Definitely no walking other than to the bath or WC. We find it quite flabbergasting that some competitors sell the package of combining surgery and a safari!! Great, if you want to possibility end up in a local hospital ICU. Imagine bouncing around in an Land Rover safari chasing wild animals and all the sutures bursting open. So basically you would not enjoy 99% of the spa visit. As well as having some anxiety being some distance away from you plastic surgeon. In conclusion its basically a non- starter. Moreover your surgeon would not allow it recommend it. Remember after-all its his reputation on the line. Return to Prague 5 star hotel by limousine. Chill out and try to have a good nights sleep. After midnight nil-by-mouth due to early morning pre-op tests. Around 7.30- walk across the road to our clinic. First will be blood tests dispatched to a lab with results by 11 am. Tests include ECG heart, lungs, liver. Over age 60 they may require an x-ray. Finally a general chat with the doctor (not your plastic surgeon) about any medical history. Next is a consultation with the surgeon. Here everything is discussed about what you hope to achieve, and whether or not he/she can deliver it. The consultant ends only once everything is understood and agreed. Now you are allowed a small glass of water. Next you will see the anesthetist who will explain what will be happening. Including reassuringly you that tethering of your wrist, is standard practice in surgery throughout the world. Reason for this is under anesthetic patients have been known to involuntary waive their arms about. Not good if he is doing delicate and intricate work with the scalpel. We shall not cover the actual ins and outs of the surgery as there are numerous publications to refer to on this. Post operation (we assure you the nurses are brilliant) you will be taken care of and usually remain from 1-2 nights. There is TV, Wi-Fi and lots of reading material. We shall visit you regularly-of course . You will be required to attend follow-ups with your actual surgeon. How much you can do in terms of leisure, depends on how long you wish to stay. Individual programmes can be arranged. This will be open to discussion. Here is a small selection of the many patients we have looked after since 1996. We have Many. Many more! Here we cover one particular procedure facelift surgery. Other procedures just ask. Young at heart but your face is beginning to tells a different story? Is a common problem that even A-list celebs suffer from. Don’t we all love that feeling of being uplifted and energised from within when almost anything in the world can be conquered? Yes, those were the days. With age comes wisdom and the ability to deal with life more tactically and eventually making better choices. Hence it’s not uncommon to see many mature men and women quite satisfied and successful in their 40,s 50’s and 60’s. But then that one look in the mirror, peeking at those deep set lines mapping the face those dominating saggy contours and fine lines overpowering your once beautiful face has no right to be there- ruining your once-oh-so-perfect looks. We have all heard others say we should grow old gracefully. Yeah right…BUT!! Facelift surgery. Performed well can externally turn back the age clock and indeed, knock off those years. A good facelift is one where on glancing in the mirror you observe a renewed indefinable glow but nothing dramatic. Subtle to the point, your friends & family will be wondering why you are looking so rejuvenated fresher, and healthier–that’s what you’re aiming for right? 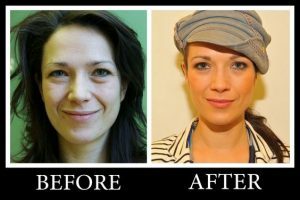 Type of facelift surgery . From our considerable experience a conventional face lift (SMAS) is the only lift worth bothering with. which involves deeper burrowing and takes approximately 3 hours to complete, should last you a whopping 5-10 years. Of course depending very much on individually varying factors such as: previous lifestyle, age of your skin and so on. 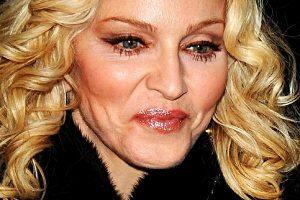 A word of caution though, don’t compromise with superficial face lifts gimmicky lunch-time stuff, none of them work. At the same time our surgeons can without creating any further incisions, target the upper chest area Decolletage during a full face lift to make sure it doesn’t give away the youthful results you have achieved on your face. It only makes sense to combine the two in our opinion. It’s time to dig out those deep neck dresses that have been collecting dust in your wardrobe ladies, and opt for a full face life that will allow you to act the age you actually feel.